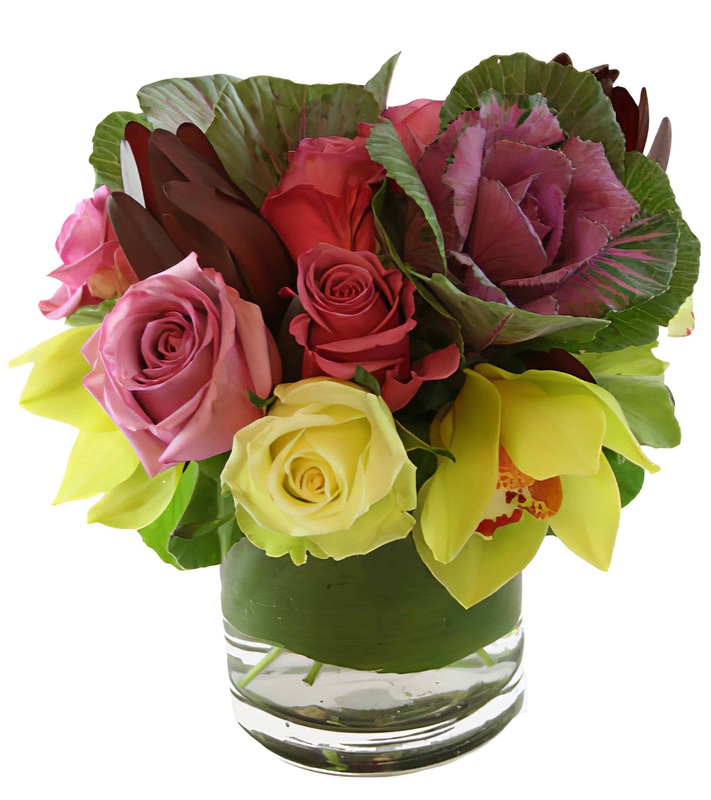 This lovely light floral arrangement of Lavender and Jade Roses, Cymbidium Orchids, Kale and Safari Sunset is sure to bring a smile and warm the heart. It's lighter color invites warm wishes to last for eternity like the Roman god Aeternitas. Celebrate a birthday or anniversary or simply add a light, fresh smell to your home or office while bringing a bit of color! Approx. 8-9" in height.